Debugging is a big part of the software development life cycle that eliminates errors in code. Debuggers are invaluable tools for game design that enable developers to identify and remove glitches, or bugs, that may have crept in. So if you’re looking for game design software, you should select one that comes with an integrated debugging tool tailored for games. These are a few game design packages that include built-in debuggers so that you can fix code without any separate standalone debugger tools. Unity is one of the industry-leading design applications tailored for the Unity engine that lots of publishers develop their games with. This is a multiplatform game engine with which you can develop software for Windows, PlayStation 4, Xbox One, iOS, Android, Wii U, 3DS, Mac and Oculus Rift. The software has Personal, Plus, Pro and Enterprise versions to design games with. The Pro version is retailing at $125 a month ($1,500 per annum), but you can still add the freeware Unity Personal to Windows by clicking the Download now button on this web page. Unreal Engine 4 is another of the most renowned development kits in the industry that big publishers design games with. This includes a full suite of creation tools for game design and supports all the major gaming platforms, such as Xbox One, PS4, Windows, Wii U, Oculus, etc. It’s great software for designing first-person shooters, MMORPGs (multiplayer RPGs) and stealth games. The full software is available with a monthly $19 subscription, but users also pay 5% of the gross revenue from their games designed with UE4. Perhaps the best thing about Unreal Engine 4 is its Blueprint system that enables users to design games without a source code editor. 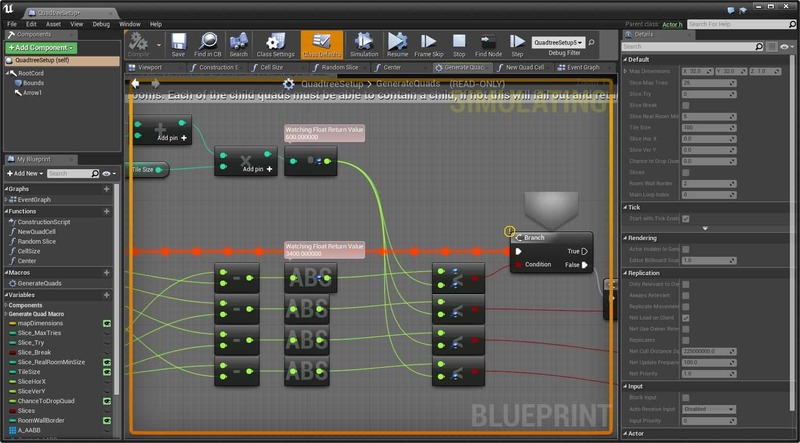 Blueprint is effectively visual scripting for game design with which you can set up and edit scripting node networks, and the editor also incorporates various debugging and analysis tools. For debugging, the Blueprint Editor includes Play in Editor and Simulate in Editor modes that enable you to pause game executions and step through Blueprint graphs with breakpoints. With that built-in debugger, you can then inspect the game’s property values and make changes when required. 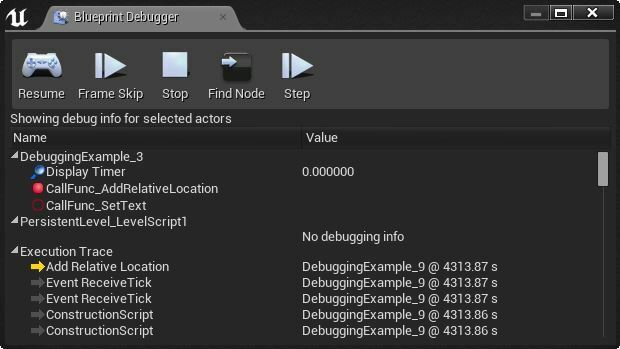 Unreal Engine 4 also includes a Gameplay Debugger tool that displays overlaid real-time game data for specific data debugging. GDevelop is ideal for beginner developers as coding isn’t so essential to design games with it. This is open-source software with which you can develop games for Windows, Linux and web browsers. The software is compatible with the Windows, Ubuntu, Mac OS X, iOS and Android platforms, and you can save its installer by clicking the Download button on the GDevelop website. GDevelop enables you to design games by inserting object and event elements, and it translates those into machine code. The software provides tons of objects for games, such as text, 3D box, tiled map, sprite and particle engine objects. Users can design more advanced levels and interfaces with GDevelop’s scene editor. Even though minimal coding is required, GDevelop still has an integrated debugger tool for native games. That enables developers to view and modify scene data, play through or render scenes frame by frame and insert new variables and objects. Overall, this software is ideal for developing HTML 5 web games; but you might need something with more extensive tools for 3D game design. 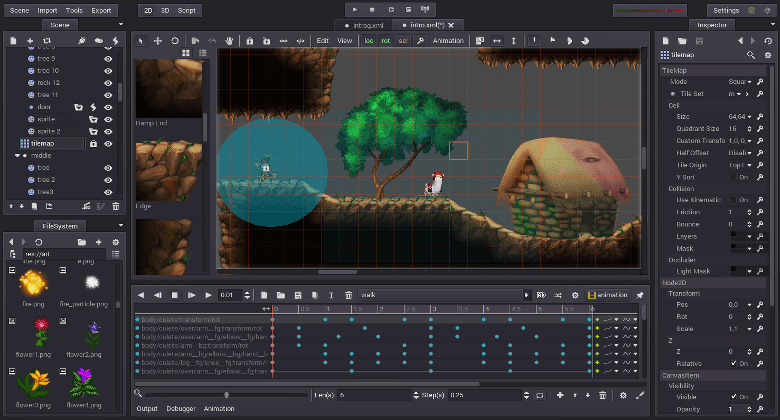 Godot is also open-source game design software packed with plenty of handy tools. This software supports both 2D and 3D game design and has its own custom scripting language. Godot is compatible with Windows, Linux and OS X; and you can design games for those platforms and PlayStation 3, iOS, Android, Haiku, HTML 5 and Blackberry 10 with the software. Open this page and press the Download 2.1 button to add Godot to your desktop or laptop. Godot has innovative scene-based design architecture with which developers can combine multiple scenes (a collection of game elements) into larger scenes. Developers can design games in Godot either with C++ or the software’s custom GDScript that’s optimized for the scene-based architecture. The software has a dedicated engine for 2D game design, and you can also develop 3D games by importing 3D models. Godot includes a timeline animation editor with which users can animate 2D or 3D graphics. In addition, the program’s built-in editor incorporates a debugger tool with which users can lay down some breakpoints and program stepping to go through code one line at a time. GameMaker: Studio is one of the best established game design packages for Windows, and there’s also a Studio 2 in development. With this program you can deploy games for PlayStation 4, Xbox One, Windows, Mac, iOS, Android, Linux (Ubuntu), HTML 5 and PlayStation Vita. There’s a freeware version of the software, which you can download from this page, as well as a Studios Professional and Masters Collection retailing at $799. Studios Masters Collection enables users to export their games to all platforms, while the freeware is limited to just Windows. GameMaker: Studio is developer software that incorporates an intuitive drag-drop-drop UI for game design. It also has its own GML scripting language that’s comparable to C, but provides greater flexibility when combined with the software’s drag-and-drop UI. In addition, the software supports the Box2D and LiquidFun particle physics engines to add realistic motion with; and it also boasts integrated cross-platform shader support. GameMaker incorporates a Debug Mode that launches a Debug Module when you run your game. With that you can inspect the finer details in games down to individual instances and variables. The Debug Module includes watch windows that display source code, global variables, step properties, instance variables, buffer data, call stack events and more besides to give you a comprehensive overview on the game. Furthermore, users can add debug breakpoints (a stop point in the game code) within the Debug Module or from the Studio IDE with a hotkey. GameMaker’s comprehensive error reporting for scripts can also further assist developers discover bugs in their games. So those are five developer toolkits with which you can design games for Windows, Mac, Linux and consoles. 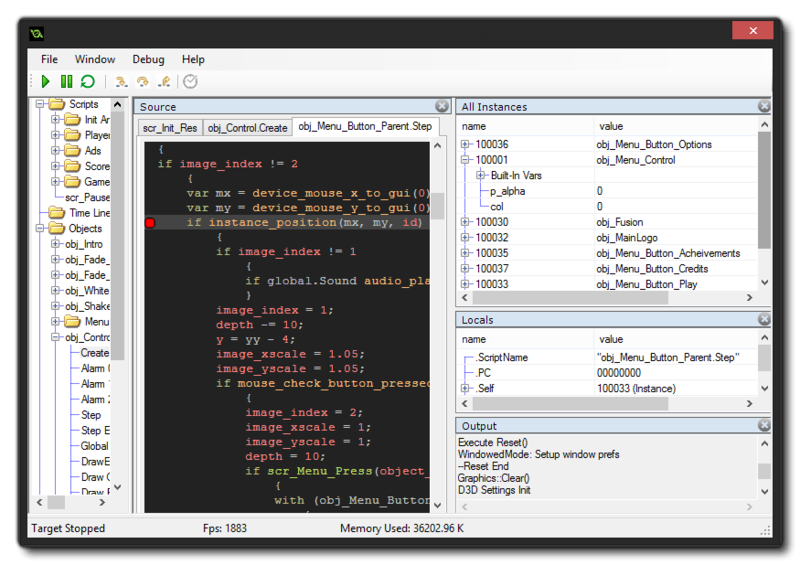 As all the design suites include debugger tools, you can track down and fix bugs in the games more quickly without any standalone debugger required.